When I got up this morning, I headed to the kitchen, where I soon found myself entrenched in several things at once. 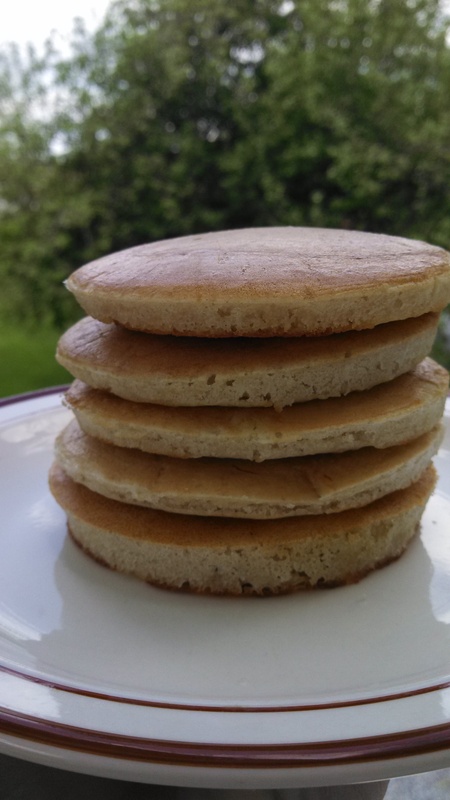 I had been putting the removed-prior-to-feeding sourdough starter in a container in the back of my fridge for several weeks and set about turning it into crumpets.For something new, I used a ring to keep them in shape and they all came out the same size. See? Halfway through, my fiancé called and suggested that I add some green onions to the remaining batter (he’s been pursuing green onion cakes for a little while now). I did so, and they were good, but I could and should have added more. Oh well, next time. While they cooked (for I only have small non-stick pans and one ring, so doing one at a time, they took awhile! ), I mixed up this week’s sourdough bread, the boule from King Arthur. It was his request, he wanted to share it with some friends on Monday. 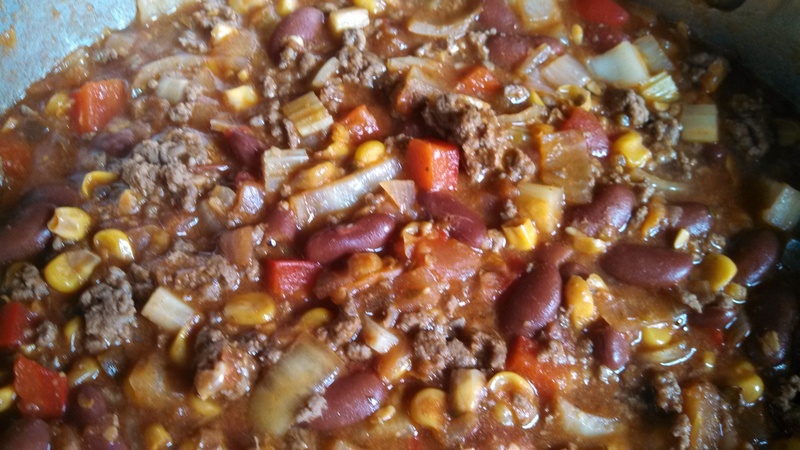 …it does look rather like chili when you think about it. This concluded my morning, save tending the bread occasionally. My afternoon was spent outside, tilling up and planting another, smaller, garden. I hope to have this be my herb garden next year, but for now, both are mixed. I moved the thyme from the other bed, and planted some chives and fennel from pots on the porch. There were three strawberry plants from the previous owner, and I planted another 5 squares (from seed). I also planted 10 corn seeds and 39 beet seeds, it’s a little late, but we’ll see if I can manage anything. Ran in and out while the bread was baking and it came off alright, very toasted, but tasty!